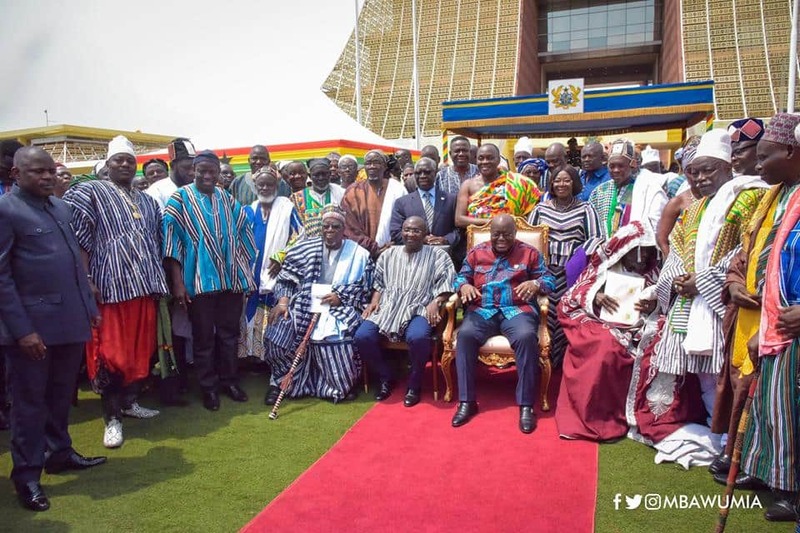 President Nana Addo Danquah Akufo-Addo has assured that the newly-created regions will receive equal development. In a report sighted by YEN.com.gh on Citinewsroom.com, the president at the ceremony to provide legal backing to the new regions, noted that the new regions will receive equal government projects. He explained that just as the old regions receive government support to develop their region, the new regions will receive similar support. President Akufo-Addo, while addressing the chiefs and people from the newly-created North East region, promised a tremendous work on developing the region. “I want to assure residents of the new region that government projects and structures will be equally transferred across the regions,” the president said. The president also promised that all new regions will be given a seed support of GHC 20 million so as to use for preliminary developmental projects. He noted that appropriate infrastructure such as hospitals, good roads and administrative offices will be built in the new regions so as to facilitate their work. The president expressed his satisfaction at the creation of the regions and said he is keen on developing the regions to the level of the older regions. The North East region was today, Tuesday, February 12, 2019 given legal backing at a ceremony held in the Jubilee House. The chief and people of the North East region graced the occasion to mark the official beginning of work in their region. The chiefs and people of the region have declared Nalerigu, a town in the East Mamprusi Municipality as capital of the North East Region. Prior to the announcement and selection of Nalerigu, Walewale was also considered for the capital until the chiefs decided on Nalerigu. Meanwhile, the Northern Regional Minister, Salifu Saeed, has been named as the caretaker minister of the region. In the coming days, the other five newly-created regions, namely; Bono East, Ahafo, Savannah, Oti and Western North regions will be given similar legal backing.